NEW DELHI: The landmark Companies Bill has been enacted, replacing the nearly six-decade old regulations that governed corporates in the country. After being approved by Parliament last month and receiving assent from President Pranab Mukherjee, the new laws have been now Gazetted. "The historic new Company Law in the country has been enacted with the President of India giving his assent to the Companies Bill, 2013. "It has now been published in the Gazette of India, Extraordinary, Part-II, Section-1, dated the 30th August 2013 as Act No. 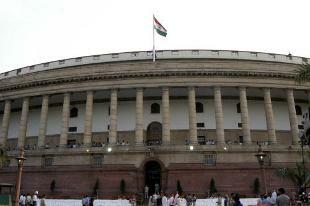 18 of 2013," the Corporate Affairs Ministry said in a release today. The new laws bring in substantial changes in regulations that govern companies registered in the country. The legislation, which had to wait for the Rajya Sabha nod for about eight months after getting passed by Lok Sabha in December last year, would replace the Companies Act 1956. The ministry is in the process of finalising rules for the implementation of the new legislation. Once the draft norms are ready, they would be put on the ministry's website for up to 60 days for comments from various stakeholders. Among new aspects, the new legislation requires certain class of companies to shell out at least two per cent of their three-year average annual profit towards social welfare activities. Besides, various new clauses have been introduced to empower as well as protect investors and bring in more transparency in corporate governance.